If you are like me, then you hate spilling half of your water that you grab from aid stations. The cups hold very little water and I tend to wear more than I get in my mouth. I have tried to walk while I drink, which is the only thing that I have found that works. I hate slowing down though. There is a new solution out there. Meet the Runsip lid. 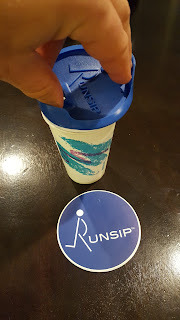 What is the Runsip lid? The Runsip lid was developed by Colin FitzSimons in 2013. 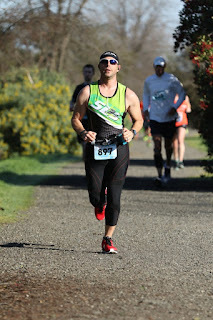 He was an experienced runner who was tired of having to slow down to grab fluids and spilling them during races. Colin started to design his product based on observations of his kids’ anti-spill cups. After countless hours of designing, getting a patent, making prototypes and testing, the RS lid was ready to sell. The Runsip lid is made of a rubber or silicone type material and is a lid that flips on the top of a cup to keep the fluids in. It is great because it not only stops spills, but you can take your water with you instead of having to drink it at the aid station. Runsip lids work best on 2.8-inch diameter 7 ounce cups. You start by taking the Runsip lid and flip the sides up. They should now be pointing the same way as the drinking spout. Grip the lid by putting four of your fingers inside the lid’s flaps. Then extend your fingers and snap the sides down. It is that easy. I found it really easy to use the lid after practicing for about 3 minutes. I have tried the Runsip lid at my house at first. Then I took it out during a race and found it easy to use. There were a few instances where water leaked out of the sides. What I found on the Runsip website is that you shouldn’t store the lid in the inverted position because it can lead to leaking, but the lid will stop leaking once it is in the normal position for a while. You can pick up your Runsip lids at their website for $12.50, which includes free shipping. You can save 25% off by using the code "BibRave" at checkout. There will be a product update in November as well that will improve stability while attaching the lid and provide a better seal. 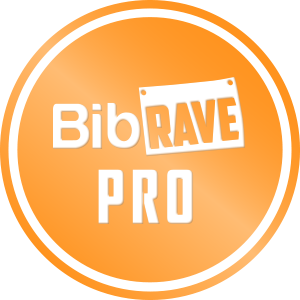 It is a great product that can save you time and frustration during your next race. 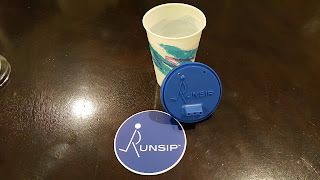 If you are tired of wearing your water or electrolyte drink, give the Runsip lid a try.